I will put your HOME on over 45 Internet sites! Realtor.com states that over 94% of buyers find their new home on the Internet! Ask yourself, on how many web sites was YOUR HOME proudly displayed for buyers? Not happy? Then call me! Google one of my Ohio homes listings and you will see the power of the Internet! 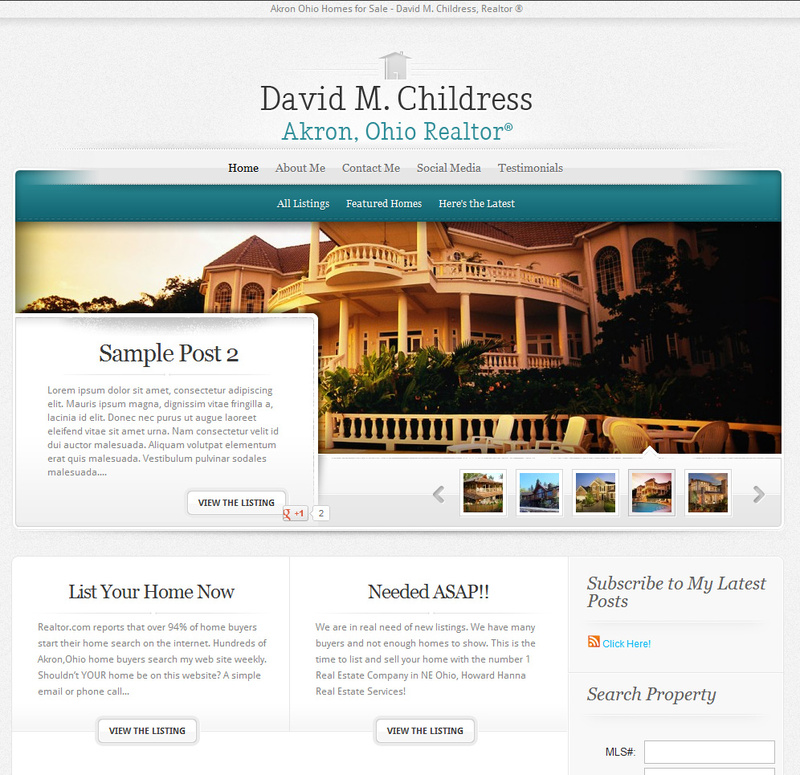 A website I created for a local realtor at Howard Hanna, David M. Childress. Installed a rotating gallery to showcase his “featured” homes as well as a category for all listings. A widgetized sidebar includes the MLS database search module and “About Me” column to aid SEO of all pages. Dave is already a pro in the social media circles so tying all the sites together was a snap. Thanks again Dave!